If your business objective is progress, which it undoubtedly is, then the purpose of your employee workshop is to prompt some type of change within your organization. Whether the speaking engagement is about safety or goal-setting, you want your staff to make real advancements after the event. You could hold the most spectacular employee event in your company's history, but if your audience isn't inspired to make real measurable changes after the event, then it may not be worth the time or money invested. 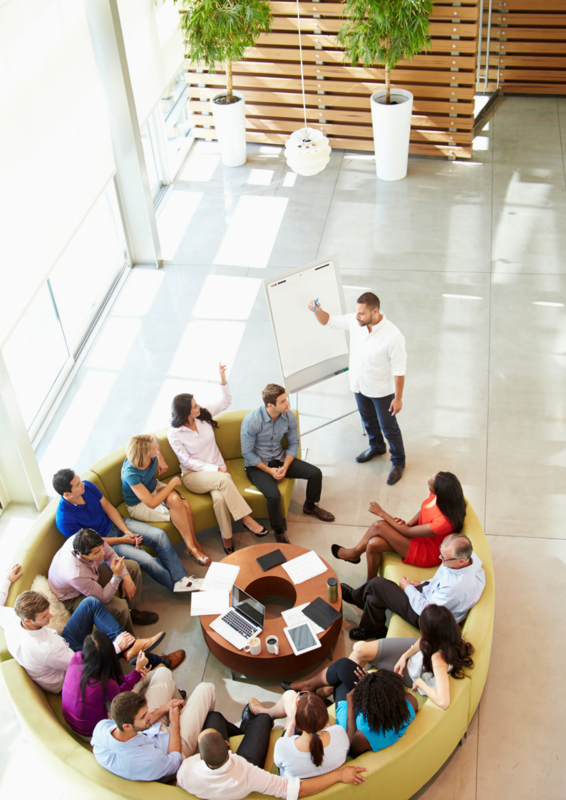 The most effective group meetings, on the other hand, incite immediate and ongoing change. The speaking part is only a portion of your efforts to incite change, but you need more than that to prompt action from your audience. The following 6 factors are also crucial to incorporate during and after the event to encourage real and lasting changes. Your business isn't going to change overnight, and it's easier to measure the impact of and adjust to slow changes anyhow. Expecting significant changes immediately following an event is a mistake. However, your company-sponsored workshops do have the potential to influence your colleagues to take the reasonable action steps that lead to big changes over time. If you can break your big-picture vision down into reasonable tasks, you make it easier for your organization to see the way forward. Develop a road map to your goal and show your members exactly where they can start today, as well as the small steps they can make next, to make progress. As your employees work their way through the road map, find a way to celebrate small achievements along the way. Our society defaults to immediate versus longer-term gratification a majority of the time. Your personnel places higher precedence on their day-to-day wins than their cumulative year-long efforts, so it's important to adjust your plan accordingly. Say you want your employees to achieve a certain performance record by the end of the quarter. Break that record down into weekly or daily goals so they can experience success at various stages during the process. Start with the day of the actual seminar by assigning tasks that cause mental or tangible wins. Give your participants a chance to build relationships and devise ideas while they're still in the room. One way to propel those small wins is to incentivize employee performance during this process. Before the event, devise a corresponding incentive plan you can put into place immediately following the engagement. Make sure to show your appreciation through the whole process with incentives that increase at every checkpoint along the way. Rewards reinforce those positive steps and give your employees even more reason to make your desired changes. That incentive plan builds traction in the workplace behind the ideas they learn from the seminar. Right after an employee resource event, your leaders may feel reinvigorated about their work, which eventually tapers off as they return to their old routines. In order to keep the ignited passion fueled, you can provide follow-up inspiration throughout the year. One way to do that is to hire your speaker to stop by for smaller refresher sessions at regular intervals. You could also send inspirational recorded clips from the event itself to your employees to keep their excitement stimulated. Follow-up strategies like these can keep the spark and energy high going as long as possible. If your audience's performance isn't associated with their core values, then you'll have a hard time inspiring them to make lasting changes. If, however, their work provides a sense of fulfillment in alignment with their core values, they'll be more intrinsically inclined to make their best efforts. To appeal to their values, remind your audience how their work impacts other people's lives in positive ways and contributes to the bigger picture so they have more inherent reason to amp up production. Finally, you need to give your employees access to the proper tools and resources to bring about the change you're looking to make. If they don't have the right equipment or training to put the action plan into motion, then the entire resource event would be a waste of time. The more resources you provide your employees to implement change, the more effective the seminar will be.